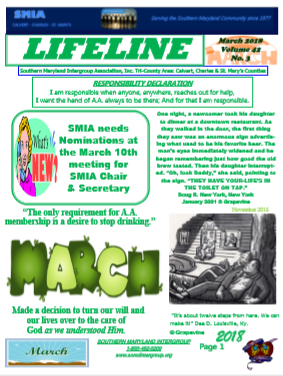 All WHERE AND WHEN MEETING CALENDARS NOW HAVE EMBEDDED GOOGLE MAPS CLICK HERE! 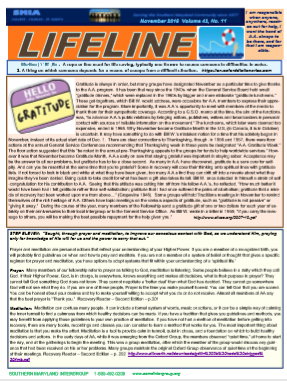 The LIFELINE is an informal, unofficial newsletter published by the membership of the Southern Maryland Intergroup Association, Inc.. Any opinions expressed are those of the editor or authors of submissions. 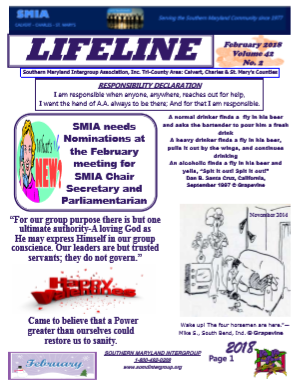 They are not endorsed by SMIA, any group nor AA as a whole. 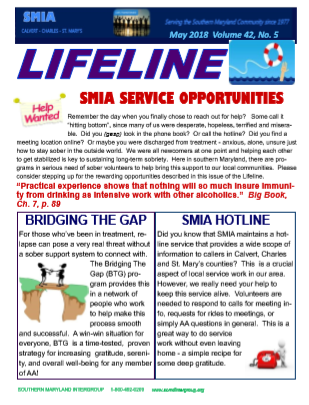 To receive a copy by email, send an email to the Lifeline editor smia.lifeline@somdaa.org with the subject “Add Me to Lifeline”. 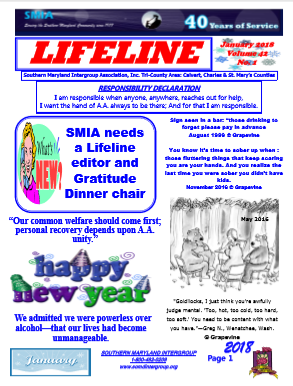 Copies prior to January 2018 are archived and are available upon request by e-mailing the Webmaster at webmaster@somdaa.org.